Item number Ab319 from the MOA: University of British Columbia. 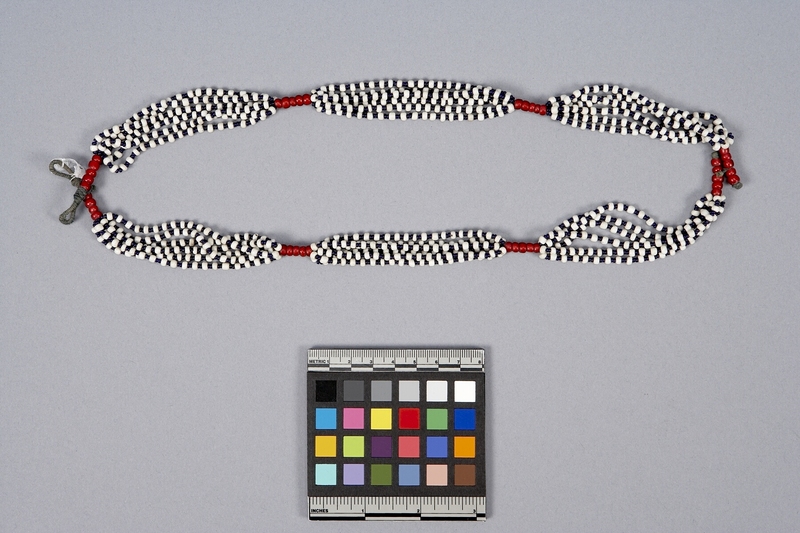 Several strands of white and black beads are cinched together in several areas by a single strand of red beads. There are fibre loops at the top of the necklace. Made in South Africa ?